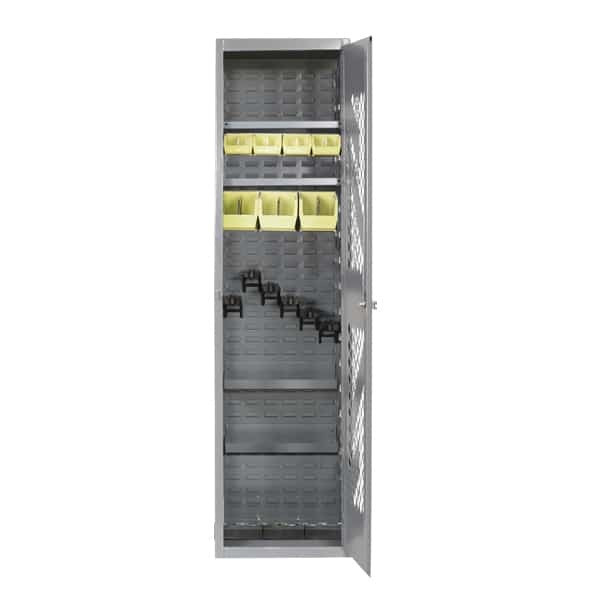 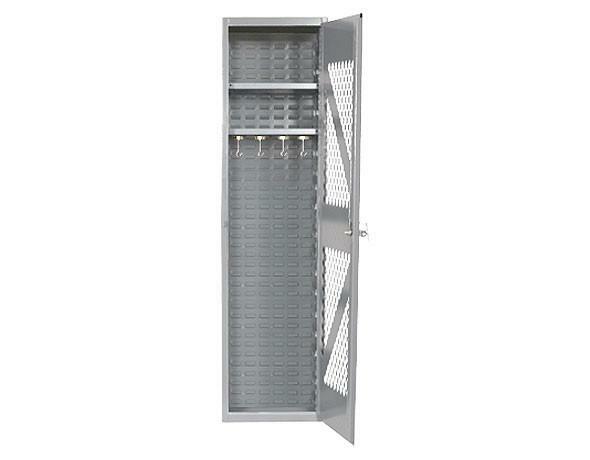 Flexible and efficient storage in a compact format, standing 72”h x 18”w x 24”d. 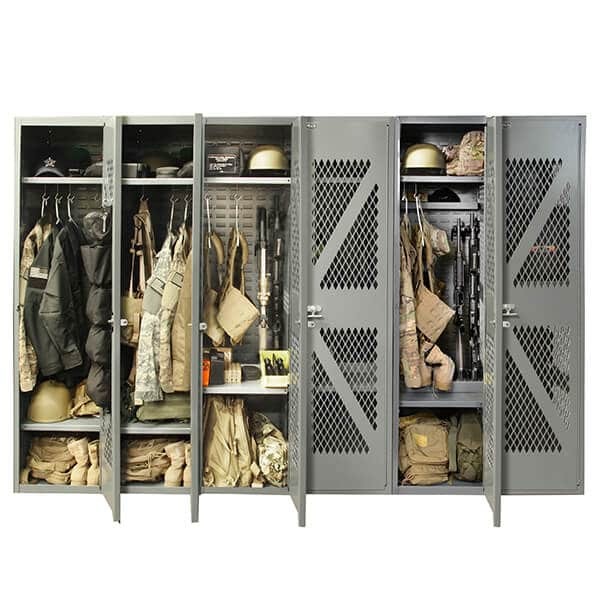 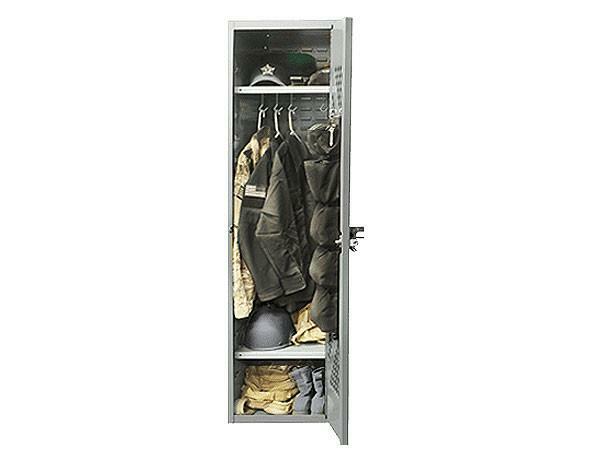 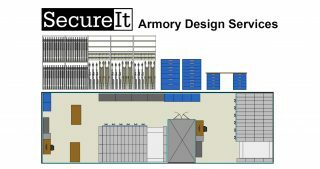 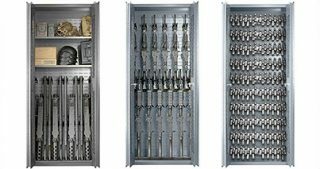 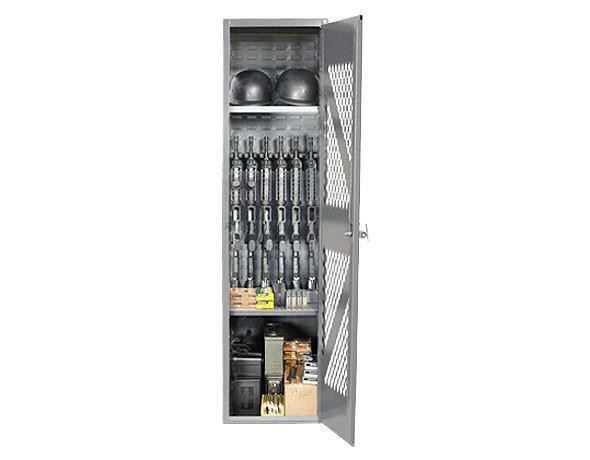 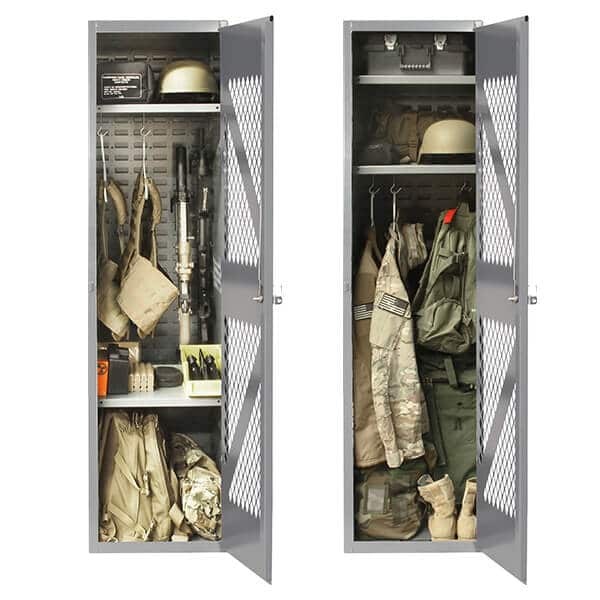 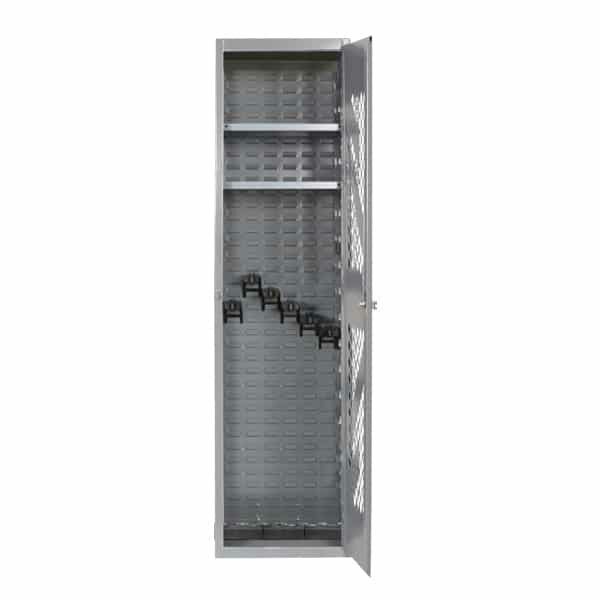 Made of 14-gauge steel, this cabinet has steel mesh bi-fold doors and comes with cradles for six weapons and two repositionable shelves. 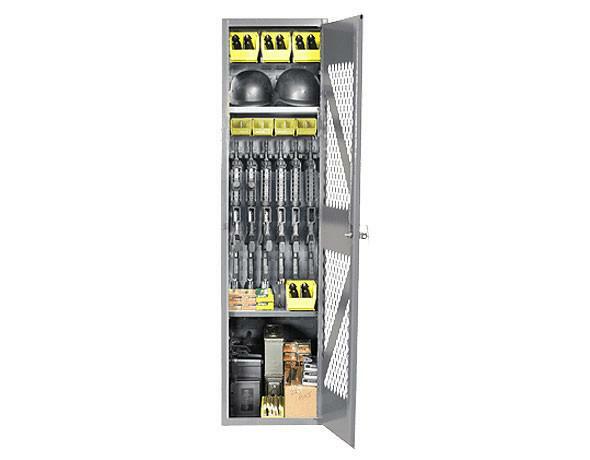 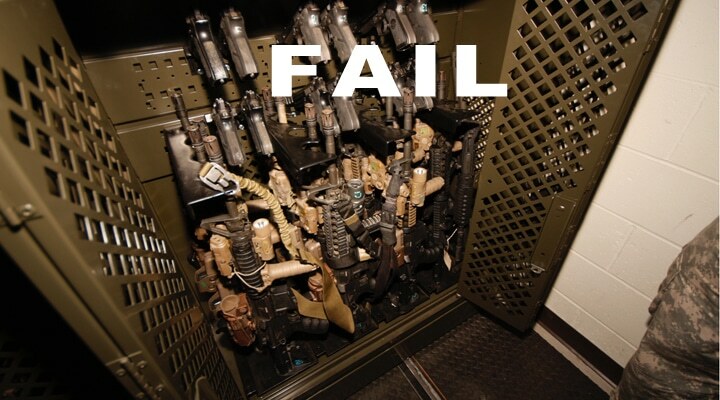 Compatible with all CradleGrid accessories.